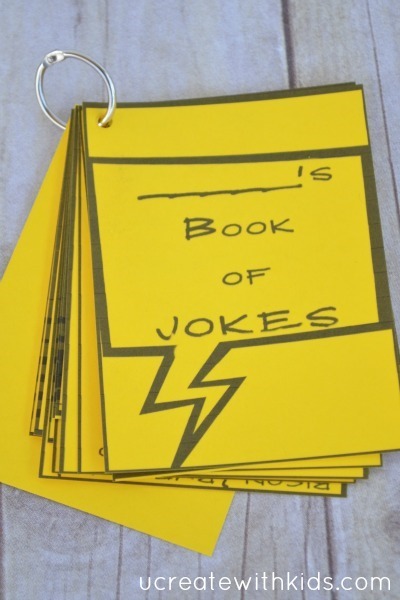 Happy APRIL FOOL’S DAY! 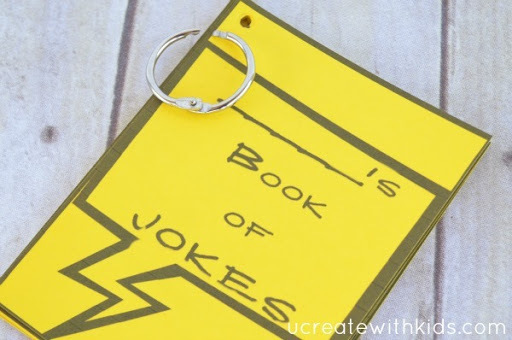 My kids and I have compiled a small DIY JOKE BOOK with 14 of our most favorite jokes. 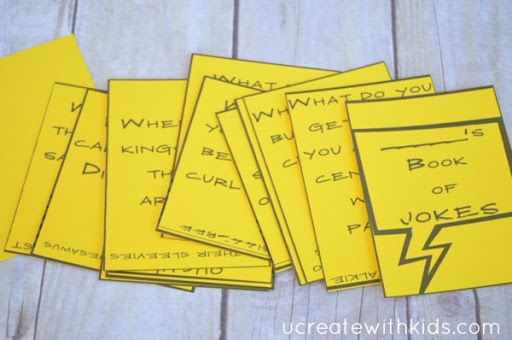 It’s a 4-page free printable just for you. 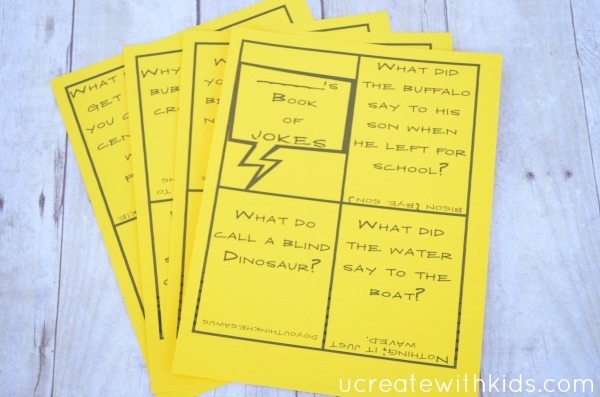 Next, cut jokes into rectangles by cutting on the thick black lines. Punch a whole in the upper left hand corner and bind with a loose leaf ring. 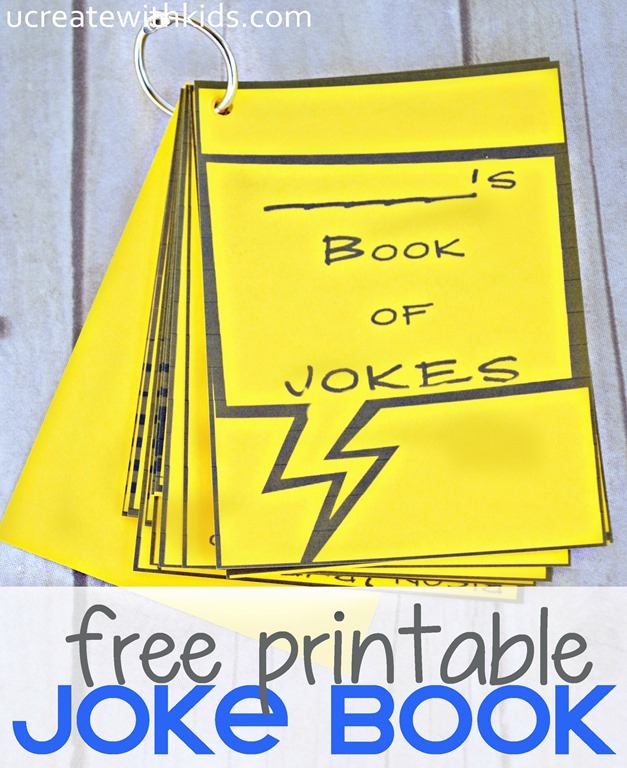 Make sure to put your name on the front and get ready for a good laugh!